Powerful & Ultra-Portable Superior High-Fidelity Wireless Sound, Anywhere! Your portable playback devices never sounded this good! Take total control of your playlist with Block Rocker Plus easy-pair wireless Bluetooth capability - keep your iPad, iPhone, or other Bluetooth music-playing device right by your side as you blast your music over Block Rocker Plus immense 100W peak power amplifier with bass boost. You can even control playback with dedicated Play/Pause, Next/ Previous Track Buttons. With a robust 8-inch woofer and wide-dispersion tweeter, experience deep driving bass and crystal-clear highs that guarantee to get your party moving! No Bluetooth? No Problem? Block Rocker Plus includes an on-board AM/FM radio with 15 pre-sets and even a 1/8-inch aux input, perfect for non-Bluetooth devices including CD players, cassette players and more. Don t let a lack of power ruin your gathering! Block Rocker Plus has a built-in battery with a charge indicator, providing up to 50 hours of pristine cordless sound. Run out of power? Simply connect the included power cord and rock out! This combination of awesome sound and an ultra-long-life battery is the ultimate solution that s perfect for a party, barbeques, or any other place you want to crank up your music on-the-go. We really have thought about everything! Block Rocker Plus includes a built-in USB 2.0 port, perfect for charging your iPad, iPhone, or other USB devices. Simply use the Block Rocker Plus built-in battery to charge-up your portable devices. 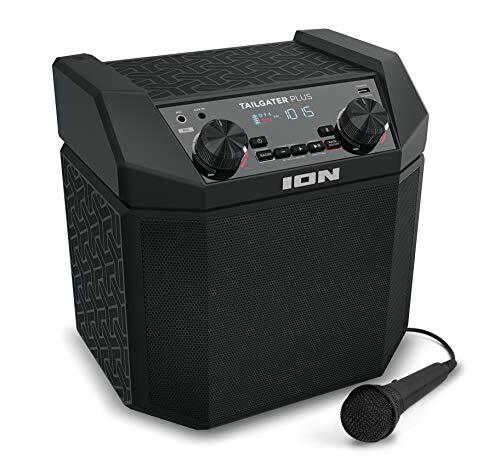 Add to all of this a high-quality included microphone and the ability to amplify your non-Bluetooth audio sources via the conveniently located Aux input, and Block Rocker Plus is the perfect powerful ultra-portable all-in-one sound reinforcement solution. 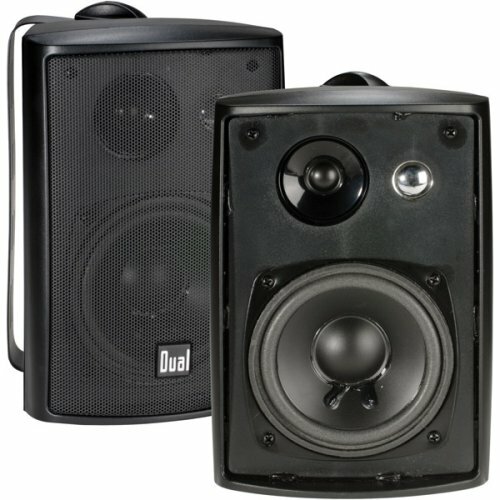 The Dual Electronics LU43PB 4 inch 3-Way High Performance Indoor, Outdoor & Bookshelf Studio Monitor Speakers with Swivel Brackets & 100 Watts Peak Power will make a great addition to any home. Your pair of 4 3-Way high performance speakers will enhance any sound system and make acoustic waves regardless of placement. Their compact but efficient design provides you with 100 Watts of Peak Power, 50 Watts RMS, 4-6 Ohms and Frequency Range between 100Hz-20kHz for unrivaled sound superiority. The versatile swivel brackets allow your speakers to be installed on the wall or ceiling with a 120 degree range of motion or in a vertical or horizontal placement with a 90 degree range of motion for accurate high fidelity sound where you want it. We understand how unpredictable the weather outside can become so we took all necessary precautions. 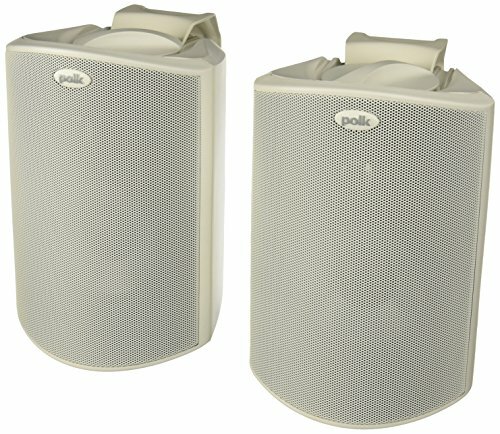 Your Dual Electronics speakers are coated with a UV resistant resin and placed inside an ABS enclosure protecting it from the elements and preserving sound integrity making them great patio speakers. When designing your LU43PB high performance speakers we included all the components for high quality long lasting sound. That includes a 4 inch woofer for low sounding bass, 1 inch Midrange Polypropylene Cone providing better heat resistance and enhancing your music experience and the inch Tweeter that produces reliable high audio frequencies for unrivaled sound performance. Backed by our 1 Year Warranty that guarantees a hassle free experience with excellent customer service. Powerful & Ultra-Portable - Compact Wireless Sound, Anywhere! We ve done it again, bringing you the ultimate must-have accessory to take your music with you wherever you go! Tailgater Plus is an ultra-portable sound system including speakers, an amplifier, audio inputs, a microphone, an FM radio and wireless easy-pair Bluetooth technology all packed in a road-ready cabinet with handles for hassle-free transport. Your portable playback devices never sounded this good! 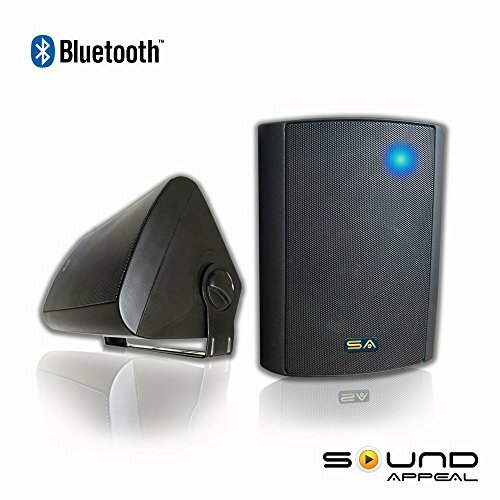 Take total control of your playlist with Tailgater Plus s100-ft range easy-pair wireless Bluetooth capability - keep your iPad, iPhone, or other Bluetooth music-playing device right by your side as you blast your music over Tailgater Bluetooth's powerful 50W peak power amplifier with bass boost. You can even control playback with Tailgater Plus Play/Pause, Next/ Previous Track Buttons. With a robust woofer and wide-dispersion tweeter, experience deep driving bass and crystal-clear highs that guarantee to get your party moving! No Bluetooth? No Problem? Tailgater Plus includes an on-board AM/FM radio with 20 pre-sets and even a 1/8-inch aux input, perfect for non-Bluetooth devices including CD players, cassette players and more. Don t let a lack of power ruin your gathering! Tailgater Plus has a built-in battery with a charge indicator, providing up to 50 hours of pristine cordless sound. Run out of power? Simply connect the included power cord and rock out! This combination of awesome sound and an ultra-long life battery is the ultimate solution that s perfect for a party, barbeques, or any other place you want to crank up your music on-the-go. We really have thought about everything! Tailgater Plus includes a built-in USB 2.0 port, perfect for charging your iPad, iPhone, or other USB devices. Simply use the Tailgater Plus built-in battery to top-off your audio device or plug it in to eliminate having to keep an extra charging cable handy. Add to all of this an included microphone and the ability to amplify your non-Bluetooth audio sources, and Tailgater Plus is the perfect, portable, all-in-one sound solution. If you re looking for the perfect, portable, all-in-one music solution, look no further than Tailgater Plus. It s the easiest way to liven up the parking lot party before (and during!) Sunday s big game, sing karaoke, or blast music wirelessly in your backyard. 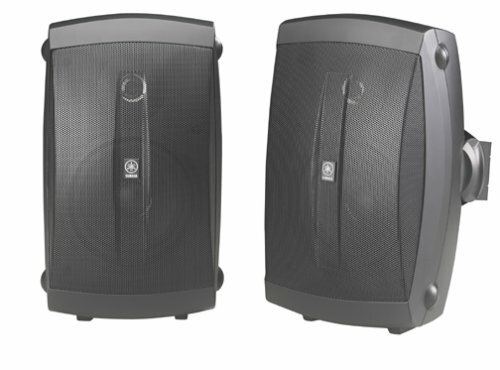 The Dual Electronics LU43PW 4 inch 3-Way High Performance Indoor, Outdoor & Bookshelf Studio Monitor Speakers with Swivel Brackets & 100 Watts Peak Power will make a great addition to any home. Your pair of 4 3-Way high performance speakers will enhance any sound system and make acoustic waves regardless of placement. Their compact but efficient design provides you with 100 Watts of Peak Power, 50 Watts RMS, 4-6 Ohms and Frequency Range between 100Hz-20kHz for unrivaled sound superiority. The versatile swivel brackets allow your speakers to be installed on the wall or ceiling with a 120 degree range of motion or in a vertical or horizontal placement with a 90 degree range of motion for accurate high fidelity sound where you want it. We understand how unpredictable the weather outside can become so we took all necessary precautions. Your Dual Electronics speakers are coated with a UV resistant resin and placed inside an ABS enclosure protecting it from the elements and preserving sound integrity making them great patio speakers. When designing your LU43PB high performance speakers we included all the components for high quality long lasting sound. That includes a 4 inch woofer for low sounding bass, 1 inch Midrange Polypropylene Cone providing better heat resistance and enhancing your music experience and the inch Tweeter that produces reliable high audio frequencies for unrivaled sound performance. All-weather certified and water-resistant to withstand the worst elements-salt-fog, UV, extreme temps or heavy rains, you name it. Power port bass Venting for deep bass you can feel from the ground up. Engineered with polk s dynamic balance technology. Bt blast pro Bluetooth indoor/outdoor weatherproof speakers from Sound Appeal are a leap forward in technology. The bt blast pro will stream music up to 60 feet away from your android, iPhone or other Bluetooth enabled device. Ideal for your patio, garage, basement or in your living room. The weatherproof cabinet has a uv resistant white finish that will not fade and is made of durable abs material. The internal cabinet walls are thick with rigid bracing to prevent cabinet resonance, allowing clean, clear sound at all volume levels. The new and improved 6.5" polypropylene woofer provides excellent bass and clear vocals and the 1" dome tweeter offers smooth highs with no hint of harshness, keeping vocals clear and concise. The internal amplifier is a high efficiency class d design with 2 x 40w rms of output power. 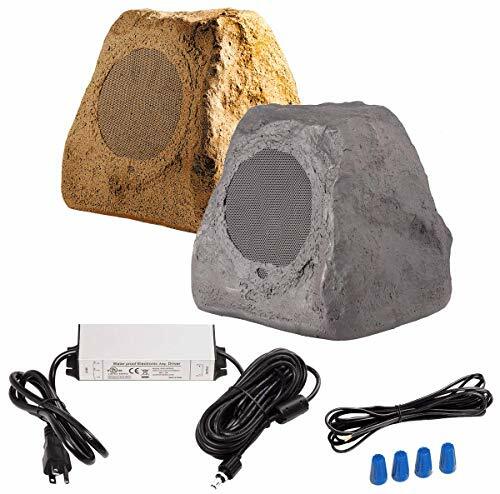 Specifications: Long range csr Bluetooth v4.0 w/ a2dp technology, 110v to 220 volt ac input, 50 to 60hz., Uv resistant black finish, frequency response: 45hz to 20khz, power supply: Weatherproof, color matched, 25 ft. Length speaker wire: Uv resistant, color matched, also 25 ft. Length. 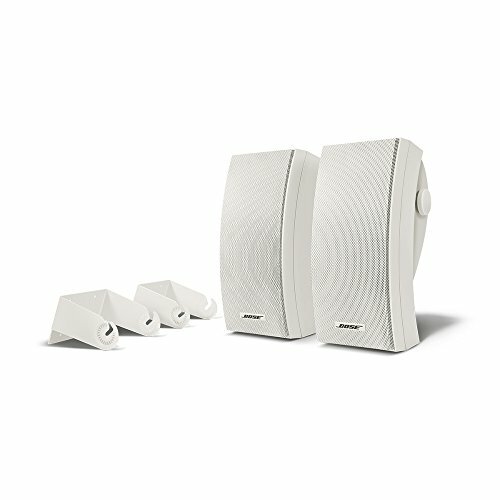 Wireless Indoor/Outdoor speaker with long range CSR Bluetooth v4.0 technology will auto re-connect to your device within range. 80W High Efficiency Class D amplifier will easily fill your outdoor area with great sound. New, upgraded polypropylene injected cone with high efficiency motor structure offers improved bass response and clarity. New, extended power supply. The BT Blast Pro 6.5 speakers feature a 25 foot power supply and 25 feet of color matched speaker wire. Let the party reach farther than ever before. Weatherproof design in beautiful black UV resistant cabinet. Requires connection to 110V outlet for power (included) and speaker wire to connect powered speaker to passive speaker (also included). Yamaha's compact NS-AW150 bookshelf speakers provide an affordable way to enjoy your music or television programming on a deck or under a porch. You can bring them in during the cold months and set them up indoors, too: their high build quality and good sound lend them equally well to two-channel indoor listening. The speakers, which are sold as a pair, each use a 5-inch high-compliance, polypropylene, mica-filled woofer and 5-inch PEI dome tweeter. The drivers are optimized for high rigidity but low mass, giving them reasonably high sensitivity (80 dB with 2.83V at 1 meter), another way of saying modest amplifiers won't have much trouble driving them. Their acoustic-suspension cabinets are sealed to prevent undue resonance or tubby, tuneless bass, which often results from low-cost ported designs. With a nominal impedance of 6 ohms, the speakers will work nicely with amplifiers up to 35 watts per channel, nominal, or 120 watts, peak power. They boast a frequency response of 80 to 40,000 Hz (+/-3 dB), giving you decent bass output for their compact size and unusually extended high-frequency response for your most demanding digital media. 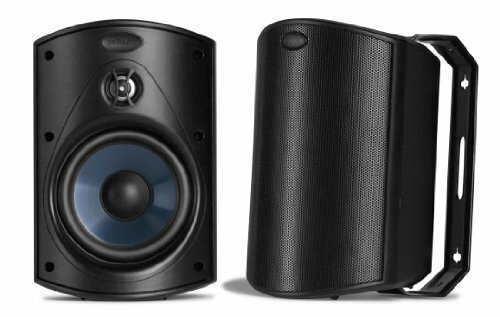 For indoor use, you may want to augment their performance with a subwoofer to deliver deeper and more powerful bass; be sure to select one with a variable crossover so you can tailor its upper frequency to effectively "take over" at the point of the NS-AW150s' lowest deliverable frequency. The speakers are magnetically shielded, so you can place them on or near a TV or video monitor without fear of picture degradation from their magnetic fields. Five-way binding posts simplify connection with several different terminations of speaker cable (including banana plugs), and the NS-AW150s even come with two lengths of cable to get you started. While you wouldn't want to leave the speakers exposed on, say, the deck of a boat, they are water resistant and designed to withstand light wind and rain--a benefit of their sealed enclosures and rugged metal grilles. The speakers come with mounting bases and brackets. What's in the Box: Two speakers, two lengths of speaker cable, speaker bases, mounting brackets, a warranty card, and a user's manual. Lantern speaker using 3inch speaker unit and bass duct design, intermediate frequency loud bass strong. 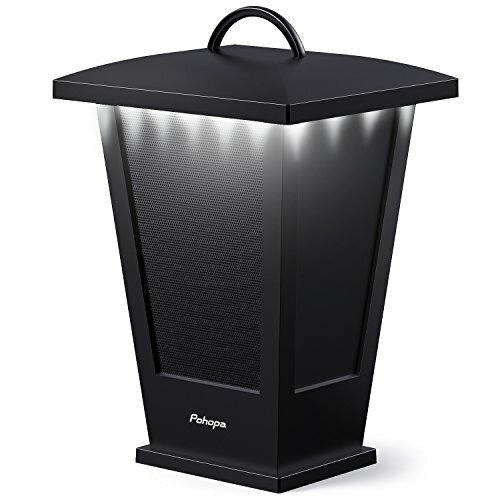 Lantern speaker with bluetooth 4.0 technology, it is easy to connect with your smartphone such as iphone, sumsung. Lantern speaker built-in 4400mah rechargeable battery, you can play music for 4 hours, 20 hours continuous LED lights. ABOUT DISTANCE: Bluetooth Distance(distance between speaker and Cell phone): up to 33ft(max, no obstacles) 5.8Ghz Multiple Pairing Distance(distance between HOST speaker and SUB speaker): up to 66ft(max, no obstacles). Please note that outdoor use distance may be shortened due to signal interference, which is normal. IP54 waterproof and dust-proof, perfect for home, backyard, patio, lawn, garden, camping, etc. MULTIPLE WIRELESS PAIRING&HOW TO USE: 5.8GHz technology means multiple pairing, supporting 2 or more B210D paired and shared audio sync with no delay. Connect them together to create left and right even more channels to enjoy 20+ Watts surround sound. 1st Get your HOST speaker paired on 2rd Tap the Pairing (first top button on left) for once, after a voice PAIRING, music shall be synchronized. We upgraded the buttons, please refer to the instructions on user manual that comes with the speaker. LED LIGHTS AROUND&10W POWERFUL SOUND: 20-piece built-in bright LED lights around lights up for night time use. 10W revolutionary full-bodied stereo boosts nice crisp highs from a big subwoofer, advanced digital sound, noise/wind reduction technology, and unique loudspeaker cavity structure to deliver premium acoustic sound. Multiple pairing use allows you to enjoy surround sound better than expectations, especially around summer pool. 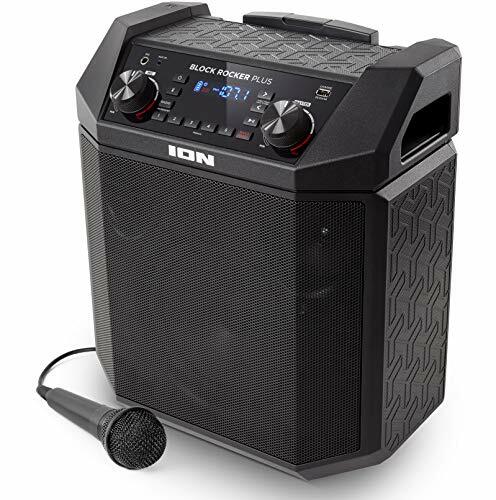 LARGE CAPACITY BATTERY: 4400MAH built-in high capacity rechargeable lithium battery supporting up to 8 hours continual music playback with LED lights on at 1/2 of the volume on a full charge, or 4 hours at full volume, or 20 hours LED light, or more than 10 hours continual music playback with LED lights off at 70% of the volume(which is more than enough indoors). Ideal as a companion or gift for parties, celebrations, BBQ and more. BT Blast Bluetooth Indoor/Outdoor weatherproof speakers from Sound Appeal are a leap forward in technology. Thanks to Sound Appeal you no longer need to be tied down to your indoor sound system to control your outside music. With these BT Blast speakers from Sound Appeal you can wirelessly stream music up to 60ft directly from your iPhone and or compatible Bluetooth device. You will be able to fill your backyard or pool area with high fidelity sound all while controlling the volume and or controls right at your fingertips. Cut the wires and make the party easy with BT Blast from Sound Appeal. Great for your patio, garage, basement or in your living room. The weatherproof cabinet has a beautiful white finish and is made of durable ABS material. The internal cabinet walls are thick with rigid bracing to prevent unwanted cabinet resonances, allowing for clean clear sound at all levels. Be the envy of your neighbors as you throw your next party controlling the sound from your fingertips. These BT Blast speakers from Sound Appeal can rock and roll, and put out powerful clean articulate sound. The 5.25" woofer driver can provide good bass and vocals while maintaining a high level of fidelity. The 1" dome tweeter keeps the highs smooth with no hint of harshness, and voice remains clear and articulate. The internal amplifier is a high efficiency Class D design with 30W RMS of output power. - High power Class D efficient amplifier with 30W output. - High quality black finish will look beautiful for years to come. Dimensions: 9.50 x 7.25 x 4.00 (each speaker). || One speaker gets plugged into a 110v outlet , then one wire connects the Master speaker to the slave speaker. 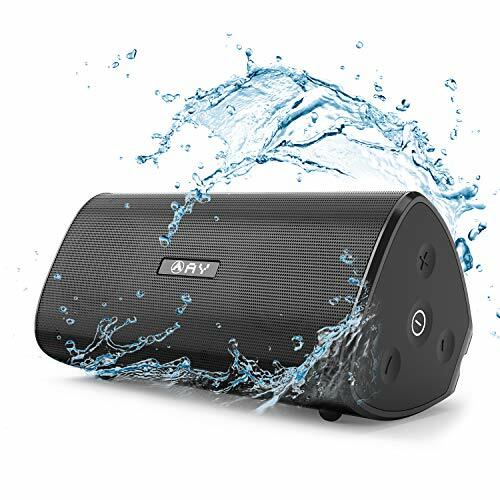 AY Portable Wireless Bluetooth 4.2 Speakers 30W with HD Stereo Sound, Extra Bass, Waterproof IPX7, TWS Technology, Built in Mic, 24H Playback, Perfect for Camping, Outdoors, Party. Brilliant Sound & Rich Bass :Used high-sensitivity 30 W powerful drivers with noise/wind reduction digital technology, to deliver premium stereo sound with deep bass, exceptional clarity and 0 distortion.Provide you enjoyful experience on HD clear music even in the noisy outdoor square.Perfect soundtrack for park, yard, parties, school, Christmas gift, Thanksgiving day, Halloween, Black Friday. True Wireless Stereo Function : Thanks to TWS function,pair 2 speakers together for stereo or party mode playback,build left-right channels for enabled speakers together to to enjoy 360 surround sound. 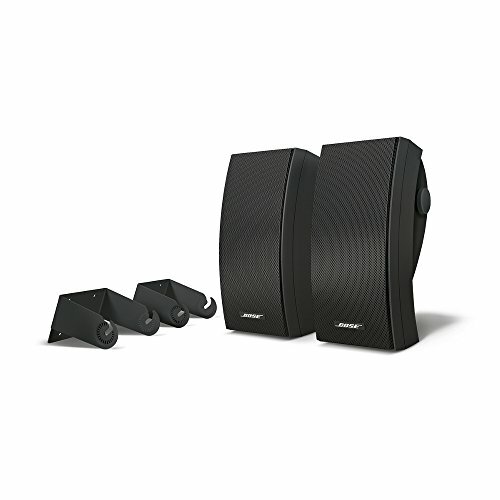 Enjoy super bass sound of a wireless home cinema any time. Bluetooth 4.2 easily connect Tablets,cellphones,iPhones,iPad,Samsung,HTC to walking around 33ft more quickly and stable. Wired connection with non-Bluetooth devices with Integrated 3.5mm Audio Cable. Tough and Solid & IPX7 Waterproof : Covered in high quality anti-fall waterproof durable silicone material and protection design,So that the audio is more durable than others. Ipx7 waterproof means no more worrying about rain or spills, you canwithstand full immersion of up to 3.3ft for 30 mins,Perfect for beach,shower,boat,hiking, camping& risk,Enjoy the music wherever you want. Ultra-Portable & Hands-Free Calling : Built in mic with integrated noise and echo cancellation technology for more crystal and clear calls,better suited as a loud speakerphone.To be convenient for your life,Specially equipped with a rope, you can hang it anywhere. Compact size allows you to control one hand at will. Long Battery Life & What you get : Built-in 5000mAh rechargeable li-ion battery Supports up to 24 hours of playtime at 50% volum. Quick charge gets back to full in about 4 hours, so no need to worry about your devices dying when enjoy music. You can get: AY Bluetooth speaker,Micro USB charging cable,Aux in cable,quick start guide,feedback card,float speaker accessory, durable wrist strap and friendly customer service . Product Dimensions per Speaker (H x W x D): 8" 7.5" 6.75"
A workhorse when it comes to filling large spaces with the kind of big, lifelike high quality sound for all your outdoor entertainment. 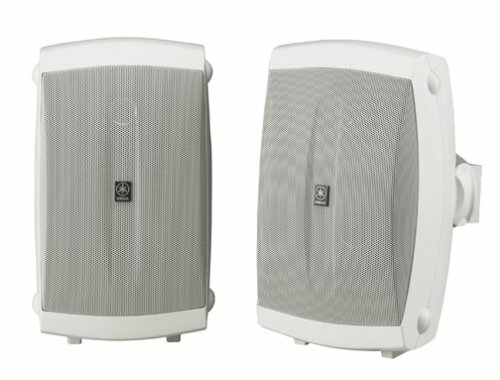 Built to withstand the elements, which means you ll be enjoying great performance for years to come.Built to withstand the worst elements salt-fog, UV, extreme temps or heavy rains, you name it.This patented technology analyzes the speaker s entire electro-acoustic and mechanical system for improved material selection and more efficient geometry. Aluminum grilles and bracket, with stainless steel and brass hardware means no rust ever. Place them By the pool, on the deck or in the garden. 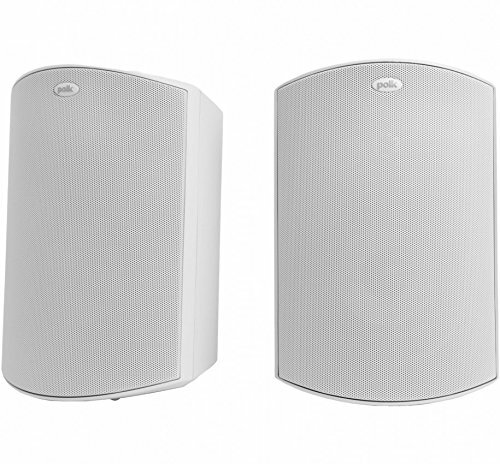 Bose free space speakers are Our best-performing and most versatile outdoor speakers. Connect them to your existing audio equipment and enjoy exciting stereo sound over a wide listening area. 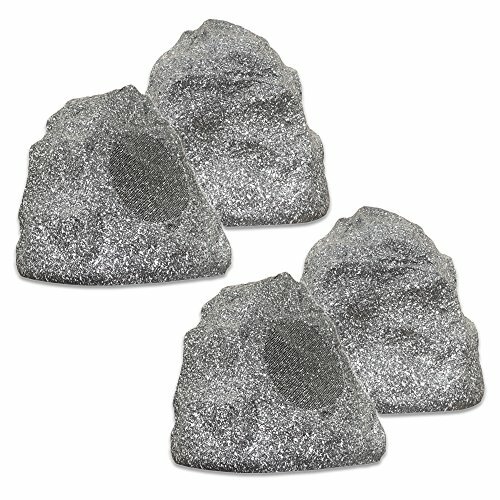 You can place them on or in the ground, so they're a great alternative to mounting speakers to your home. And they're designed to stay outside all year long. The flexibility of free space 51 speakers allows you to partially bury them in the ground or easily install them on Hard surfaces. The speaker base has three mounting holes for solid and secure placement. Grooves on the underside of the base allow you to neatly tuck in wires. 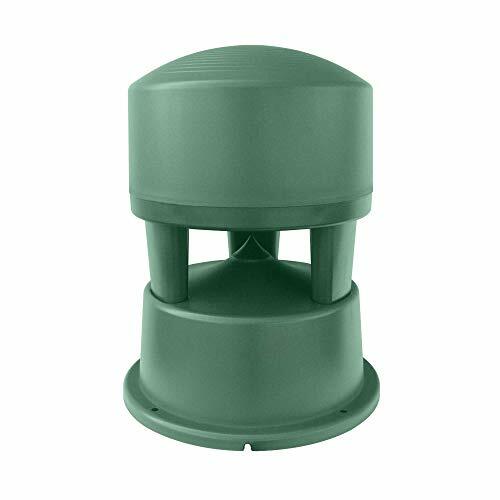 This ensures that the wire doesn't cause rocking and provides a simple and professional-looking installation on a deck or patio. With meticulous design and rewarding performance, free space 51 speakers are an ideal choice for outdoor listening pleasure. 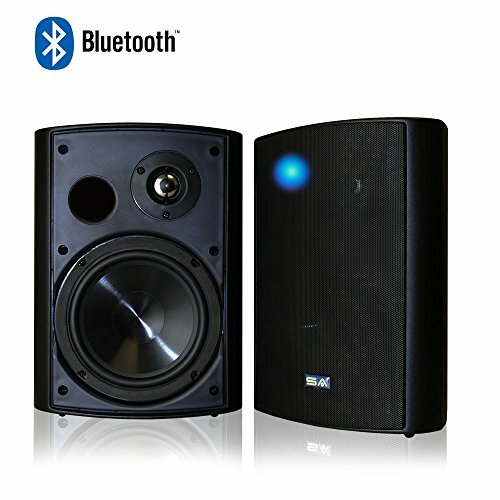 Large Bluetooth range - max 150ft wireless Bluetooth connection Range (obstructed sight). stream music from iOS, Android, Alexa, Chromecast and more! 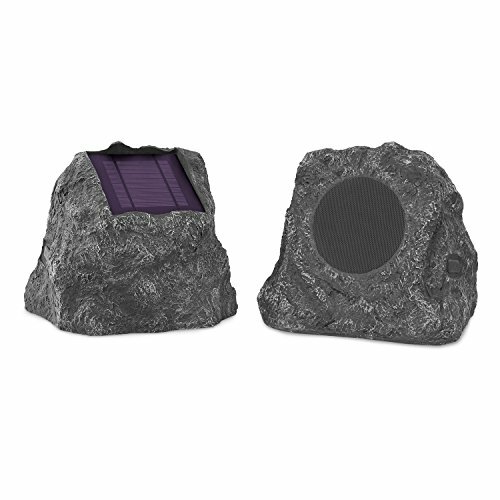 When it comes to rocking your outdoor entertainment system, nothing beats the BTR-150 Wireless Bluetooth Rock Speakers! 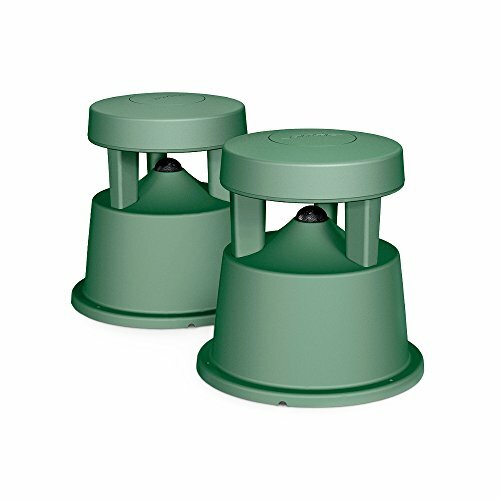 They feature a weather resistant design, made with molded polypropylene and butyl rubber, and are made to blend seamlessly in with their natural surroundings. 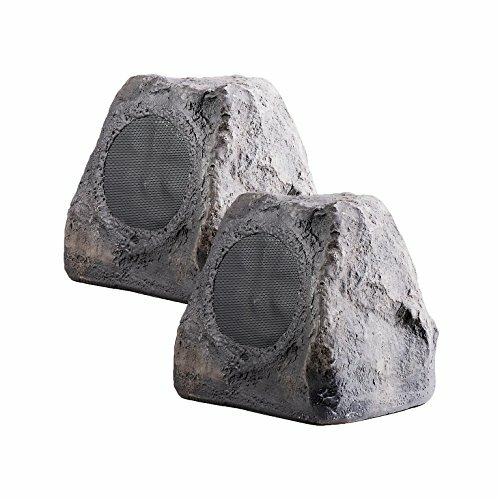 Instead of bulky outdoor speakers that look like they don't belong, these rock speakers are perfect in the garden or out on the lawn. They're 5-inch 2-way speakers and are available in slate or canyon brown. 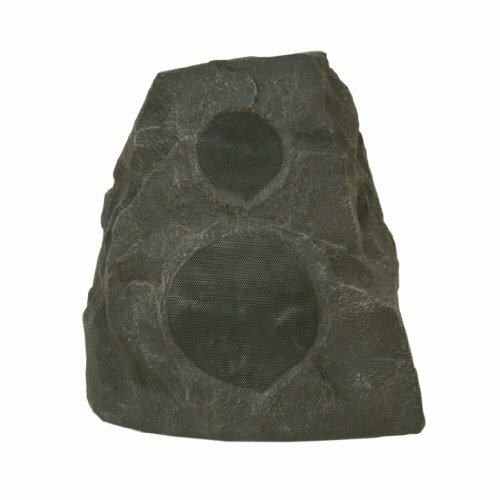 Outdoor Speaker Depot is a global leader in high performance audio and home entertainment products. Our innovative products combine audiophile sound quality, impeccable style and affordable prices. Our audio experts are extremely knowledgeable in designing audio and video systems for any environment. If you have questions about the best products for your application, give us a call. Bose 251 speakers set a new standard for performance and reliability outdoors through a combination of advanced technology, extensive research and rigorous testing. An articulated array reproduces sound over a larger listening area. The result is a wide distribution of sound, so you can enjoy music equally from both speakers as you move around outdoors. And the patented multi chamber bass enclosure helps deliver full, deep bass without audible distortion, from a smaller design. 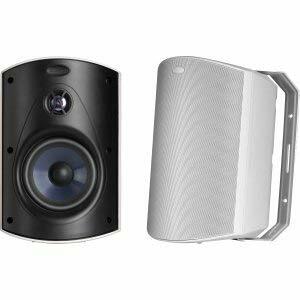 These speakers deliver performance and reliability Most conventional outdoor speakers and many indoor speakers simply cannot match. Elegant yet rugged, Bose 251 speakers are engineered to withstand snow, rain, salt and temperature extremes of 140 F (60 C) to 22 F ( 30 C). weather resistant mounting brackets and hardware included allowing for easy installation. Backed by a 5 year transferable . These speakers are designed to simulate natural rocks within your landscape and can be placed anywhere natural rock would be found. The RX550 have a 100W power rating and are specially constructed with weather resistant components for years of trouble free performance. The polypropylene woofer and stamped aluminum tweeter are acoustically matched to give you clear vibrant sound with good bass characteristics. BLENDING IN WITH THE ENVIRONMENT: The unobtrusive shrub green finish helps to blend in and enhance most outdoor environment. 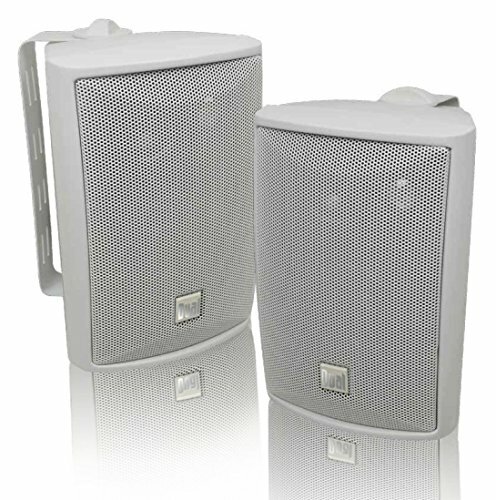 Speaker can be installed in-ground or surface-mounted.